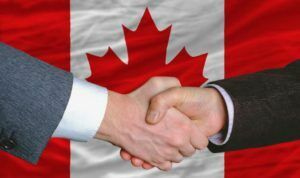 A hostile takeover attempt turned friendly Wednesday when two of Canada’s largest marijuana producers agreed to bury the hatchet and combine their operations to become one of the world’s largest cannabis companies. After five days of marathon negotiations, Saskatchewan’s CanniMed Therapeutics accepted Aurora Cannabis’ sweetened cash and share offer worth 1.2 billion Canadian dollars ($900 million). The acquisition is the world’s largest to date in the marijuana industry, and it will give Aurora more production capacity ahead of Canada’s planned legalization of adult-use cannabis this summer. Under the deal, CanniMed shareholders can get 3.4 Aurora shares for each CanniMed share, or they can receive a combination of cash and shares, with the cash component limited to an aggregated maximum of CA$140 million. The acquisition continues a wave of consolidation in Canada’s burgeoning marijuana industry as companies look to increase production capacity and boost advantages in intellectual property ahead of adult-use legalization. Analysts say the acquisition increases the likelihood of more mergers and acquisitions this spring. “That’s two big M&A deals in two weeks,” noted Beacon Securities analyst Vahan Ajamian. He was referencing Aphria’s acquisition last week of Broken Coast Cannabis for CA$230 million in stock and cash. “We’ll see more of those types of complementary and strategic marriages,” Ajamian said. The Aurora-CanniMed deal will create the second-largest marijuana company in the world with combined quarterly sales of CA$13.02 million. But the company will be the biggest in terms of market capitalization, valued at CA$7.6 billion — just ahead of Canopy Growth’s CA$6.7 billion. Aurora says the acquisition will allow it to accelerate its business strategy. “CanniMed has an incredibly respected medical brand, recognized and recommended more than any other by physicians,” Cam Battley, chief corporate officer of Edmonton-based Aurora, told Marijuana Business Daily. In connection with the merger, CanniMed will scrap its agreement to buy marijuana producer Newstrike Resources and will pay the Toronto-based company a CA$9.5 million breakup fee. Combined, Aurora and CanniMed will have paid-for capacity of over 130,000 kilograms (286,601 pounds) of annual production, including current facilities and those under construction. Jason Zandberg, analyst at PI Financial in Vancouver, British Columbia, said the deal puts Aurora in a better position to negotiate supply agreements for recreational cannabis. “Aurora benefits as it increases its current capacity — Aurora Sky is still under construction,” he said, noting that producers have started making deals to supply provincial wholesalers. Chris Damas, editor of the Barrie, Ontario-based BCMI Cannabis Report, said Aurora’s hot pursuit of CanniMed boiled down to the latter’s advantage in medical marijuana. “CanniMed has significant medical cannabis assets, revenues and experience, given CanniMed’s (price-per-share) monopoly on Canadian medicinal cannabis sales until 2013,” he said in a note. Assets Damas highlighted include intangibles such as patents, research and development partnerships, 15,000 peer-reviewed journal articles, as well as a capability to produce 11,000 cannabis softgel capsules per hour. Aurora only recently obtained approval to sell cannabis oil and has no hard or softgel capsules, he said, putting them behind rivals Canopy and MedReleaf. “I believe the domestic Canadian medical cannabis market, albeit more crowded now, is more stable and will possibly be more profitable than the prospective recreational market,” Damas said. The deal is expected to close in the second quarter. Aurora, CanniMed, Canopy and Aphria are traded on the Toronto Stock Exchange under the symbols ACB, CMED, WEED and APH respectively. And the USA falls behind again. Finally the merger is happening…thankfully. what to do with Newstrike shares now? Does this water down the share prices for Aurora now? Was happy with original offer now a little cautious reminds me what happen when the USA started printing more money than is suppose to be in circulation, brings the dollar down? Any thoughts? ?